Enryaku-ji, located in Kyoto’s eastern mountain range on Mt. Hieizan. You can go hiking or take the ropeway. The view from the ropeway is amazing. Hikone castle become a popular cherry blossom viewing spot in spring, about 1.200 cherry trees making the most beautiful time of year to visit the castle. Nagahama castle is located in northern part of Shiga. You can see a layer of cherry blossoms from the castle tower during the cherry blossom season. 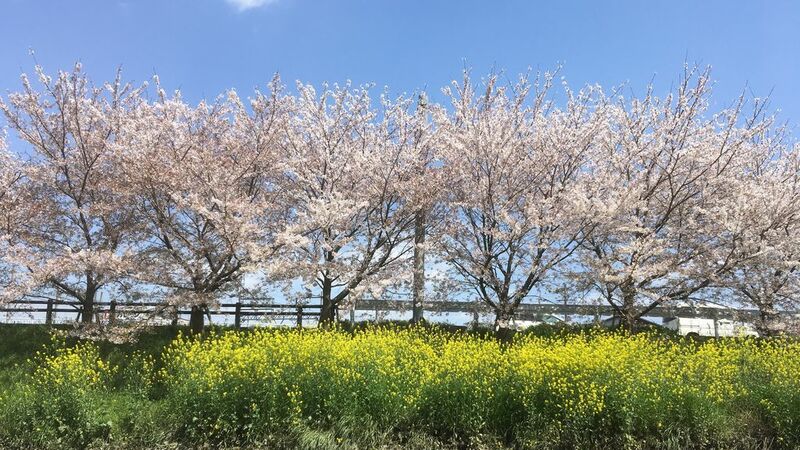 Kaizu-Osaki has about 800 glorious cherry trees lining the northern shore of Lake Biwa for 4km. It’s one of Japan’s 100 greatest cherry blossom spots. The lake biwa canal is one of the best spots for cherry blossom in the Kansai area. Around 600 cherry trees grow along the canal and Mii-dera temple is nearby.